This was my first official gaming computer ever, so I went all out as much as I could. I have been researching parts and learning about specs of each part and how they operate and what you want to look for in any part for your rig since 2016. I am happy to have finally built this machine! My last computer was a Dell XPS 8300 with an i5 and upgraded it from a gtx 260 to a Zotac 1050ti 4g OC EDITION, it helped a little bit. I was going to pull the trigger on a 1800X, but then I saw the 2700X and new I had to get that instead. I wanted RGB to have choices with whatever color I wanted when I felt like changing it and it worked out great. The Enermax fans are ok in the RGB spectrum but I think Corsair has better options and I will probly switch them out later. The build runs flawlessly, I only play World of Warcraft and some Overwatch, but mostly WOW. The game runs amazing and I am waiting on getting a 4K monitor to put my 1080 to use. I know ppl say to get the i7 8700K for WOW because it uses single core, but my 2700X runs it at max with no problems either so I don’t really see a difference imo!??? I sacrificed in some areas such as fans and the 250 ssd and 1tb hhd instead of a bigger ssd storage device the help save a little bit. Anyways thanks for looking and ask any question about the build as want! Update 03/10/2019: Corsair Commander Pro and Corsair RGB LED Strip extention kit are instalked and Photos uploded! 03/09/2019 update: Corsair Commander Pro and RGB LED EXTENTION KIT arrived. Installing today and will post updated pics once done. 01/01/2019 update: I built this back in early spring of 2018 and the build has been amazing. Everything works with no hiccups, maybe I was just lucky. Still only play World of Warcraft on it, but thats why I built it to run WOW for a long time. Going to add another 16gb’s of ram just because id like to have 32gb’s. 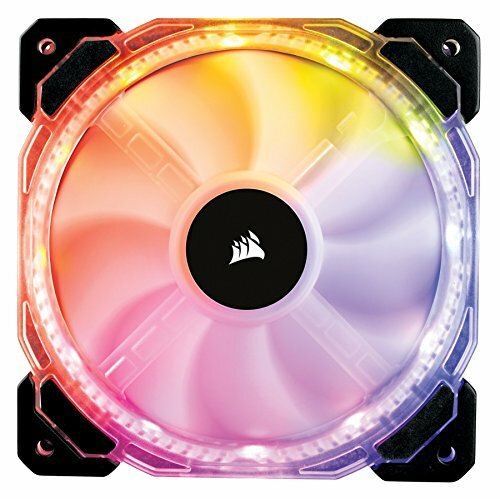 The Corsair fans have performed outstanding! That is all I wanted to share so far. KILLABEE Gaming Chair: The chair works great and was easy to assemble. It really helps my back stay true and I am able to sit a lot longer than my previous unknown brand chair. I sound it on Amazon, but as I am writing this review, Amazon is currently out of stock on it. 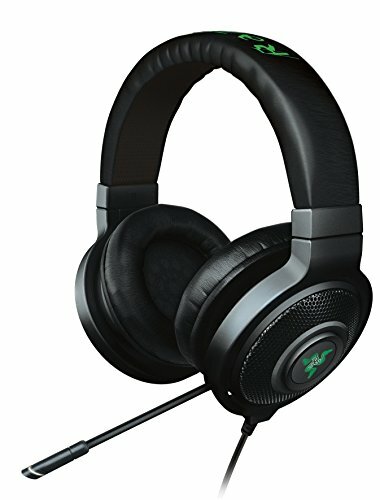 BRAINWAVES Headset Holder: I wanted the Razer headset holder, but I am not paying almost $100 for that!??? This was $12.99 and sticks to the wall and has so perfecrly since i have stuck it there. Very sturdy and looks really nice to. Easy acces to grab my headset. RGB Led Strips: I have 3 total, and love the back glow off of the wall. They look nice and have stuck right where I put them a few months ago. Logitech C615 Webcam: I really want to get into making Youtube Videos and Stream and still havent yet because of my internet not being the best but works great for World of Warcraft. I have Tested it out with OBS and everything looks really good. I really don't see the need for a top end webcam, because this looks just like what a lot of professionals use to me. Older logitech Speakers: I bought these back in 2010 and they have always been good enough for me. Never upgraded or nothing and don't feel that I need to anyways, because I use my Razer headset most of the time. Razer Goliathus Mouse Mat: I have had this for over a year now and ithas performed true in all I have put it through. I want the firefly, but I don't know if it is really worth it lol, because I am content with it and it hasn't ever failed me. I have two cats and rarely do I see any one cat hair really on it. Desk:Don;t know if anyone really care's, but it was $20 at a office liquidation sale. I love the glass top with the pull out bottom. It is the perfect height to where my chairs armrests meet and also my keyboards wrist rest aligns with it also. Horde Banner: I am a huge WOW fan as you can see. I play and Orc Fury Warrior and love it. Showing my loyalty!!!! For The Horde!!! UPDATE: I added a blacklight led strip to the inside of the case to highlight the led colors of my parts. I like the orange look as it goes with the Aorus color scheme. UPDATE: Purchased Corsairs HD120 RGB fans to replace the Enermax ones because 3 out of the 6 Enermax fans are off balance and rattle like crazy now. Dont get the Enermax fans lol unless I’m just one of the unlucky ones. Will post new pictures once installed, recieving them Tuesday Oct 2nd 2018. UPDATE: Installed Corsairs HD120 RGB fans and wow they are wayyyyy more quite than my Enermax fans I had in before. The colors are way better, I am very happy with the purchase 5 stars! These are beefier fans than the Enermax’s by a lot to where my CPU cable was in the way to install the top back fan I had to move it worword a bit. I connected everything to the controller, but the fans did not turn on only the lefs did so I had to plug all 6 into my motherboard. Right before I pulled the trigger on a Ryzen 7 1800X, I looked on Pcpartpicker one last time just browsing around and saw they released a Ryzen 7 2700X! Was glad I did, the thing is a beast barely cracks a sweat. I only play World of Warcraft and this thing handles it like no other! Great price to performance totally worth it! I’m glad I went with this over the i7 8700K, I’m defiantly not looking back. Runs WOW to the max! Thanks AMD for a great CPU! Don’t hesitate, just buy it! Great product! The best ram imo to buy if you can! Ran with no problems at 3200mghz with my motherboard! I keep reading that this is the basic EVGA 1080, but imo it’s a very strong card! I know I only play World of Warcraft, so I’ll be upgrading to a 4K monitor soon to put this card to its true usage! Very appealing astetics and the fans only turn on when I start WOW. Great buy! Love this cases astetics! It was a bit tighter to build in but not hard at all! Under the shield is where the mess truly lies lol! Still a great premium feel to it though! Found this for a really good price and said well, maybe I’ll go SLI in the future and won’t have to buy a new one! The one downfall was that the actual power cable was missing, but Amazon gave me a package of three and they work great! Thanks Amazon for the great customer service! Great product! Very happy with my purchase, also these things are so quite I think I only hear my CPU fan but barley! Colors are very vibrant! This is the only 4 star review in all of the parts in my build! Reason being, is that the fan in the bottom front is making a weird rubbing sound and I have tried to make sure it’s not loose but with no luck. I might switch them out for some Corsair rgb fans. The Enermax fans are still great performers though!???? UPDATE: Sept 30th 2018, 3 of the 6 fans are now rattling very loudly and its really annoying. Replacing all of them with Corsair HD120mm RGB fans when I get them on Oct 2nd 2018. Taking 2 more stars off since I had to waste my money on them. This monitor has been awesome actually, for it not being a real gaming monitor. I had the 25" version before this, but it had a weird bend in the screen so I took it back and this one was the same price so I swapped it out for the 27". I play Word of Warcraft and this thing makes it look beautiful! I might explore to a higher resolution, but this monitor is very satisfying. Totally worth buying imo! No defects out of the box! 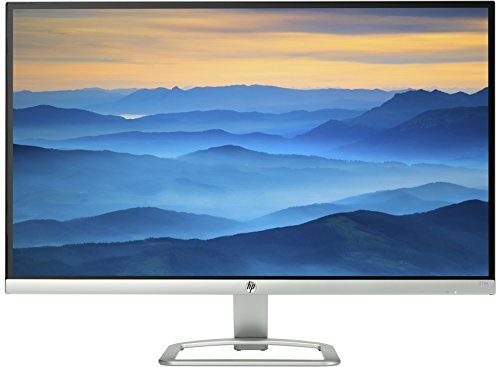 Way better then the 1080p HP plain monitor I had before. I got this for $356 at Best Buy and that's including taxes and the 4 year warranty. I had the Best Buy warranty for my last monitor and it started getting black lines on it, so it was time to take it in and trade it up. I had them price match Micro Center's price of $430 and then applied my monitors price on top of that. 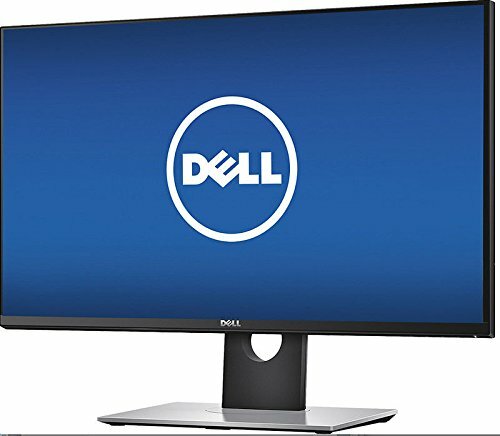 Great monitor so far, couldn't ask for a better price per performance! I have used this Keyboard for over 2 years now, and it has never given me a problem. I just recently bought the Razor Ornata Chroma with the wrist rest, and I do notice the keys are actually a tiny bit more sensitive to push down on the Redragon. I love both keyboards though. I really just wanted to complete my Razer theme and have complete control of RGB for my gaming utensils lol. The Redragon is very sturdy and well built and gives you a metal springy sound when letting off of the keys. Love this keyboard! I have my collection of Razor products that I have wanted for so long! This keyboard is nice and quieter than most keyboards. The wrist rest is very comfortable. I have this paired with my Razer Chroma 7.1 Headset and the Razer Naga Chroma! Love the RGB options! 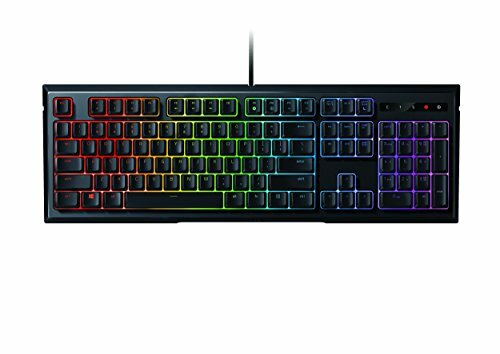 I still have my Redragon K551 keyboard and I still love that one two, but I wanted all Razer and a quieter keyboard to. The Redragon is imo a great keyboard as well. I would still use it, it's lasted me 2 years without any problems. I have had this mouse for over a year now and it hasn't given me one problem. I play World of Warcraft and the 12 button come in very handy. 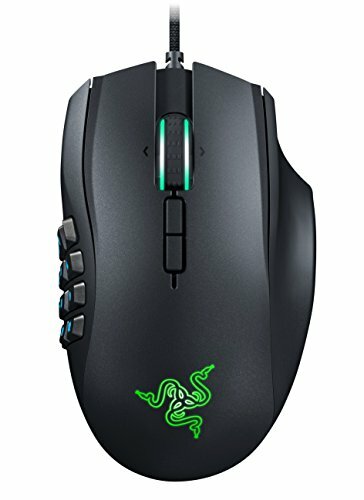 I saw mixed reviews on this mouse, but bought it anyways, because i wanted 12 button and to know what it felt like to have a great gaming mouse. I was torn between Razer ad Corsair but liked the looks of the Razer products so opted for going all Razer and all of my Razer products haven't failed me. Some ppl who complain about things breaking, may be pounding on their products or something, because I am a heavy user on these products to when PVPing and have never had any malfunctions or have anything break on me??? Great headset! The sound is amazing also when listening to music when I am doing my homework. opted for all Razer products and love them all! Just aint paying the outrageous price for their headset stand! Great build man! I would love to see more pictures when you have it fully set up. I'm thinking of making a computer very similar to this one and am wondering how well it runs games like Fortnite and Overwatch as those are the two main games I play. It looks great and I hope it runs well for you. Thanks man, I will post more soon I didn’t get a chance to mess with all of my RGB components yet but I will to get s nice theme going. I might not be able to test Overwatch, because where I live now 4G LTE is the best internet I can get. World of Warcraft runs great on LTE, but I have hugesnet for downloads do it takes s while but I’m going to network another computer and transfer those files so it’s quicker. I will post more pictures though! 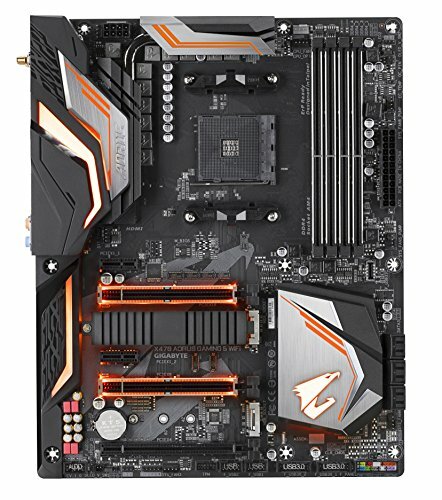 How is the Mobo and the wifi on it? The MOBO is great! And the WiFi works very well for me. I play World of Warcraft using my 4g LTE hotspot from my phone and that works very well with the WiFi on this MOBO. I’m sorry for asking so many questions but I was wondering I’ve heard complaints about the bios being confusing what did you think of it? No problem, I don’t mind answering any questions lol. The bios seemed straight forward to me. Their is easy mode which gives a overall layout and you can also go into seperate settings in the bios. I’ll post a couple of pictures to my build tomarrow morning for you so you can see the actual screen layout. Hey im interested in using these same fans with the 570x. Did you connect the fans using the rbg controller that comes with the case or something something else? The fans come with their own fan controller can syncs to the MOBO or you can use the remote also. The fan controller can also have a led strip plugged in as well. I’ll take a picture with my back panel off and add it to the pictures. Hey man it’s been a while just got my pc built using the same MOBO I’ve had some issues getting ram to 2800mhz and my pc wouldn’t even boot at 4.3 MHz overclock I’m running stock rn but still getting 100+ avg frames but I was wondering if you had any familiar issues and if you did how you fixed them if so please let me know! Hey man! No my ram just overclocked np to 3200MHz for me. 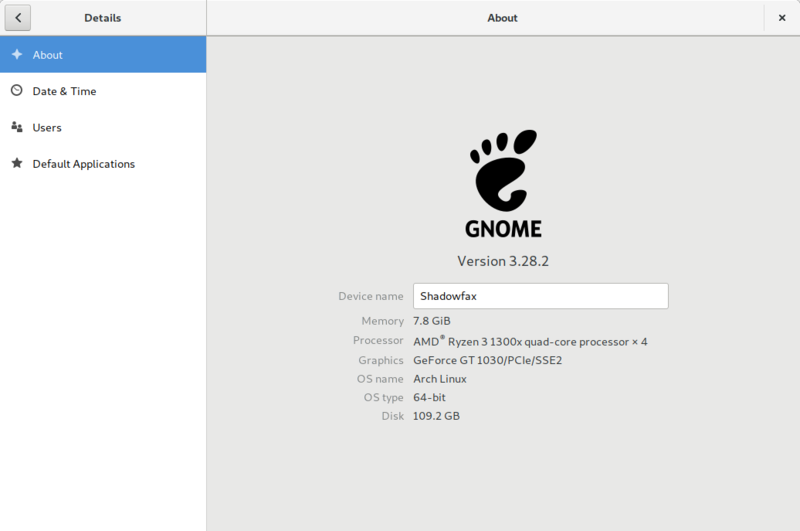 Have you enabled XMP for your ram? I will Post a picture for you today it should be a setting in the prepherables I believe or bios. Hm that’s very strange. I just enabled my xmp and it went straight to 3200MHz on both sticks. Would easy mode do anything for you? I forgot to post some pictures of my ram settings I’ll take some tomarrow morning and see what I can find. Sorry for the late response. It’s all good in fact I was able to trouble shoot the issue. Basically I’m an idiot and didn’t pay attention to mobo specifications and bought 2800mhz ram for a board that doesn’t support that speed I just was able to put it at 2666mhz and I may oc to 2933 if I feel like doing so but everything is running well for now! Ohhh ok cool np glad you figured it out lol! I came across your build looking at enermax fans (dont worry im not interested in those fans) however when i saw your choice for replacements i was wondering why you chose hd120s over sp120s? The only reason being the sp120s would match your heatsink fan because the rgb is on the inside of the fan vs the outside. Not that it matters its just a matter of opinion, i was just wondering. I just really liked the look of the fans actually lol. I was gonna go with the LL series, but they are a bit over priced. I like the modes you can pit these fans in to also I like how you can have multiple colors on each fan, but id gave to get the cammander pro to do that lol. Thanks for the question though, they are really good and very quite fans! Just wondering, do you know which fans started rattling? Yes, the bottom front fan and the rear fan. Idk why, is a shame cuz they are nice looking fans. Oh ya and the rear top fan as well. I was seriously considering the enermax fans. I see alot of mixed reviews, some have no problems, and some have the same problems you did. Did you ever find a reason or a fix? Did you try to replace them maybe under warranty? I really love the look of the fans, and with the good build quality, (heavy well made frame with rubber corners), I cant understand what the grinding problems are about. If you could get back to me it would be much appreciated! Nah, I never could find a fix. I would tap on them while they were running and it would do the trick but not for long it started to get worse. They are cool looking fans, but Idk if I’d take the chance. Its a good deal though six fans for around $73 now? I got mine at $87. It just got really annoying to deal with. It got quite loud to sometimes. ah ok, thanks for the honest input. Yes lol Shadowfax was Gandolfs white horse. I just named it that because of the builds strength and majesticness lol thanks for commenting!